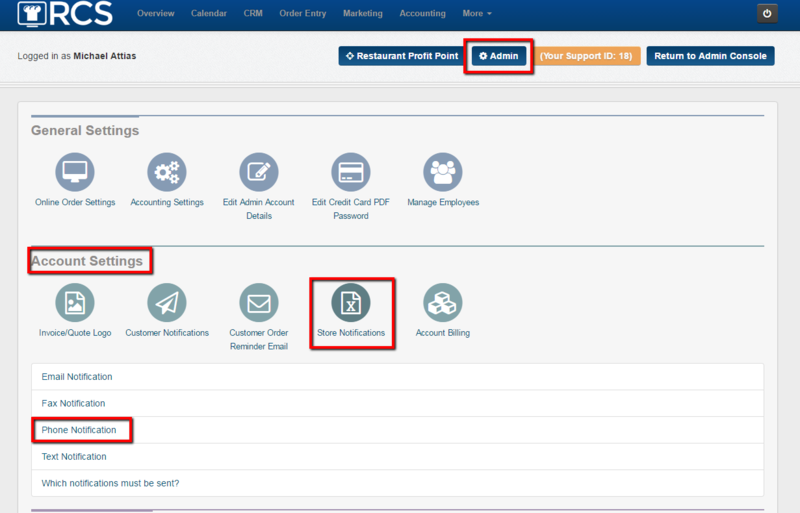 This article will go over how to turn on the Phone Notification that the store will receive if an order has been placed. Please note that all calls are .20 per minute (most calls are less then a minute) and the .20 will be deducted from your variable fee fund account. 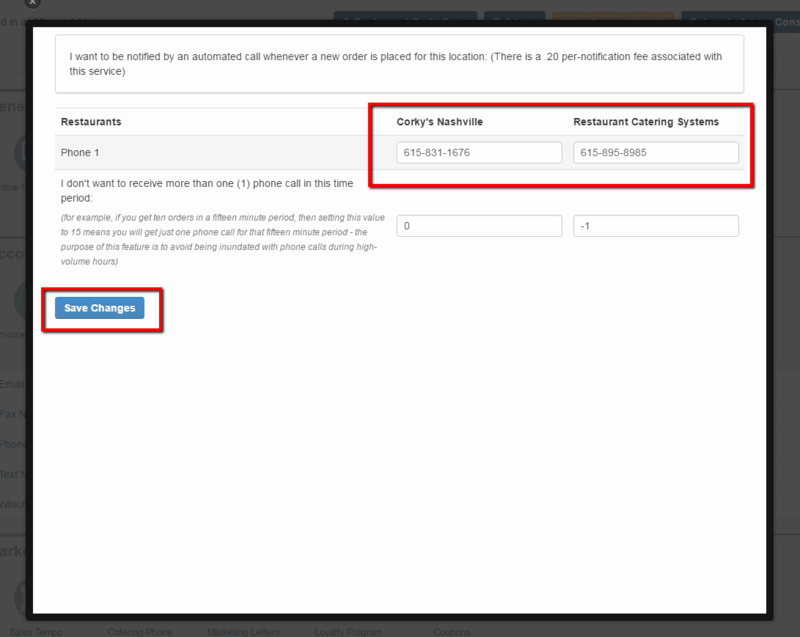 1 - Click on the Admin tab and then look for the Account Settings section and click on the Store Notifications bubble. Then choose the Phone Notification link. 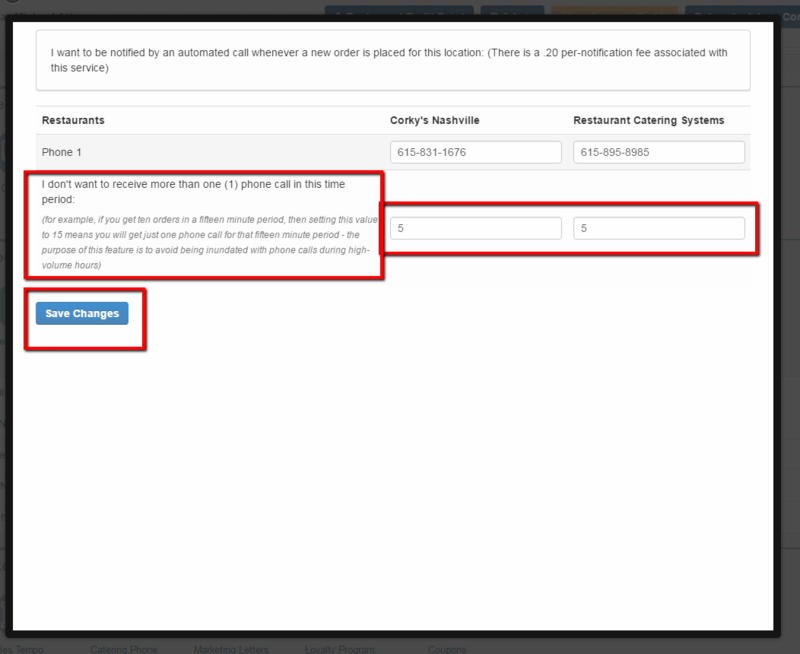 2 - A pop up box will appear with your locations listed and rows to add telephone numbers. 3 - Once you add the number(s) do not forget to press save changes. 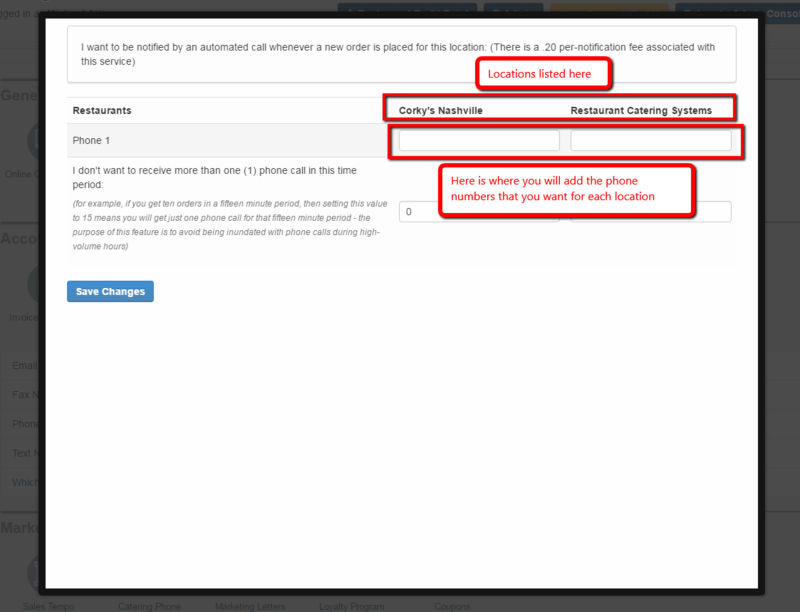 4 - You can also tell the system to that you only want to receive 1 phone call during the time period. Remember to press save changes. You have now turned on your Phone Call notification for new orders.